In the main building of the Department of Zoology, if you wander from the first floor corridor towards the entrance to the Library you will pass a small display case containing a number of microscopes and associated artefacts. This display was created by A.V. Grimstone, previously active in the Department in electron microscopy, as a labour of love, and it provides a tangible presence for one of the Department’s outstanding alumni, Francis Maitland Balfour. Of course, when you arrive round the corner at the Library, it bears Balfour’s name (forever twinned with that of the Department’s first Professor of Zoology, Alfred Newton, who was the subject of a previous biographical sketch in these newsletters). The Library was named in honour of Balfour after his family donated over 500 books and associated documents to form the nucleus of the Departmental Library. A supporting endowment fund was established by subscription in 1906. Apart from knowing that the Library is the ‘Balfour Library’ (usually referred to simply as the ‘Balfour’) most students in the Department, if they know anything else at all about the man whose name is immortalised in this way, know that he died tragically young in a mountaineering accident. Some students, particularly those whose areas of study took in ‘embryology’ (developmental biology) or vertebrate morphology, may even know something of Balfour’s work. Those with a good sense of visual recall may find that, like many generations of vertebrate zoologists, they have an image of a diagram of a dogfish head in association with Balfour’s name. This diagram was introduced by the Oxford zoologist, E.S. Goodrich, in 1918 and took Balfour’s classic work on vertebrate head segmentation as a starting point. Balfour had published a series of papers on this topic from 1875, and particularly notable is: Balfour, F.M. (1878). The development of the elasmobranchial fishes. J. Anat Physiol. 11:405–706). In his 1930 book, Structure and Development of Vertebrates, Goodrich pays glowing tribute to Balfour’s work: ‘In his epoch-making works on the development of the Elasmobranch Fishes (1874-1878) Balfour showed that eight ‘head-cavities’ or hollow somites are formed whose walls give rise to the muscles of the head … His tabular statement is given below, and the best and most recent work has fully confirmed his main conclusions …’ [Goodrich (1930), p. 217]. Today, work on head segmentation and related topics remains an active area (currently in the Department, for example, it is carried forward by Andrew Gillis and his co-workers) and those zoologists who also had a medical training will be fully aware of the clinical relevance of such work. Those who want to know about Balfour’s ‘epoch-making works’ in a more up to date context might want to look at: Kuratani, S. & Schilling, T. (2008). Head segmentation in vertebrates. Integr Comp Biol. 48: 604–610; doi: 10.1093/icb/icn036, where the authors quote the late, great A. S. Romer’s comment, ‘The study of segmentation is comparable to the study of the Apocalypse. That way leads to madness.’ For the really enthusiastic, there is an electronic resource for Balfour’s works at https://archive.org/stream/b20417342_001/b20417342_001_djvu.txt . Francis Maitland Balfour (known as ‘Frank’ to his familiars) was born into an upper class Edinburgh family in November 1851. The picture of him that is overwhelmingly used in biographical accounts, taken from an oil painting by John Collier, shows him looking slightly ethereal, with a moustache of a type fashionable at the time. Frank Balfour’s elder brother, Arthur, became Prime Minister, and Frank himself had an establishment education at Harrow School and then at Trinity College, Cambridge (where he progressed to a scholarship in his second year, 1871, after an examination by T.H. Huxley). He was always an accomplished naturalist, along with another brother, Gerald, and although he had apparently showed no exceptional talent during his school years, he was encouraged in science both at school and within his family. He graduated second in the Natural Sciences Tripos in 1873, and was duly elected as a Fellow of Trinity in 1874, partly on the strength of work that he did at the Naples Research Station. Balfour’s life moved rather rapidly after this point: after the famous string of publications dealing especially with the development of cartilaginous fish, culminating, as mentioned above, in 1878, Balfour published the two volumes of his Comparative Embryology in 1880 and 1881 (he appears always to have been a fluent writer). Balfour directed the Cambridge Morphological Laboratory, which attracted a glittering array of scientific alumni, and where the modern technique of serial sectioning seems to have originated. He had been elected to the Royal Society in 1878, at the age of 27, and received its Royal Medal in 1881. Then, as now, such early distinction made him a valuable commodity and it is known that this resulted in a number of approaches from other universities. So rapid was the rise in his reputation that from holding a college lectureship (1876) he proceeded to a specially created University Chair of Animal Morphology in early 1882. Doubtless Balfour’s aristocratic and society connections, and his personal wealth, did not hinder his progress in science. However, he used his influence and resources to support the field of animal morphology: those beautiful, glowing, brass, Zeiss microscopes in the display case in the Department of Zoology were his own purchases from what was, at the time, the leader in optics: Balfour was a meticulous observer and nothing but the best would do to assist his work. It is a resonant experience to unscrew an objective case marked ‘F.M.B.’ and to feel some sort of connection to a great zoologist and microscope buff of over 140 years ago. Balfour had been inspired as a student in 1871 by the lectures of the enormously influential Michael Foster (best known for his pioneering work in physiology). Indeed, in 1874, Balfour and Foster published The Elements of Embryology, written while Balfour was still an undergraduate. There is little doubt that he would, himself, have been an inspiration to students: he was, by all accounts, not only prodigiously talented, but also a charming and likeable man. However, shortly after his appointment to the Chair in 1882, and without having commenced teaching, Balfour caught typhoid. He was generally a physically active man, and travelled to the Alps to cement his recovery. Rather characteristically, he chose to attempt the first ascent of the Aiguille Blanche, with his guide Johann Petrus. Both died, on or around the 19th July 1882, Balfour at the age of just 30. The exact circumstances remain controversial. His remains were repatriated to Scotland. He had been widely spoken of as the natural successor to Charles Darwin: Darwin died in the same year. Among other sources of information about Balfour’s life and times, the following accounts by the developmental biologist Brian Hall, and the historian of science, Helen Blackman, are particularly helpful and enjoyable. Hall, B.K. (2003). 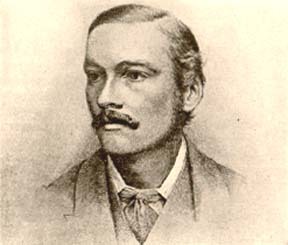 Francis Maitland Balfour (1851–1882): A Founder of Evolutionary Embryology. J. Exp Zool. (Mol Dev Evol.) 299B: 3-8. Blackman, H. (2007). The Natural Sciences and the Development of Animal Morphology in Late-Victorian Cambridge. J. Hist. Biol. 40:71–108. Blackman, H. (2004). A spiritual leader? Cambridge zoology, mountaineering and the death of F.M. Balfour. Stud. Hist. Phil. Biol. & Biomed Sci. 35: 93–117.